A Listing Of Schools In Sugar Land, Texas. Find Top Rated schools in Sugar Land, Texas. This is a list of schools in Sugar Land, ranging from Preschool, Elementary School, Middle School and High School. 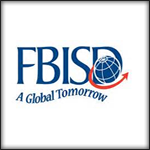 The Fort Bend Independent School District is the school district that serves almost all of the city of Sugar Land. The southwest portion of Sugar Land’s extraterritorial jurisdiction (ETJ) and some very small areas within the Sugar Land city limits are in the Lamar Consolidated Independent School District. LCISD serves the master-planned communities of Greatwood and River Park. Other communities in the ETJ served by Lamar Consolidated include Canyon Gate at the Brazos and Tara Colony. The Wharton County Junior College and the University of Houston System at Sugar Land are both located in Sugar Land. Search for Sugar Land Real Estate Listings and Homes For Sale with our Home Finder Tool!